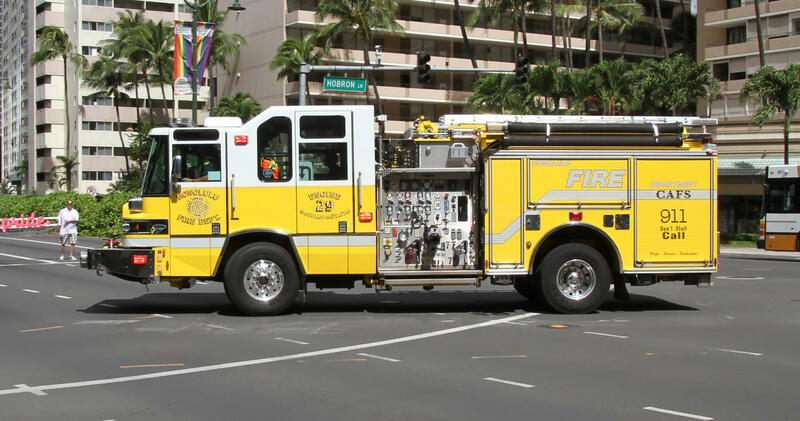 Honolulu officials have agreed to pay $5.25 million to settle a lawsuit filed on behalf of a firefighter who died after he was injured in a training exercise. The city and attorneys for the family of Cliff Rigsbee notified the court earlier this month that they had reached a settlement to the negligence and wrongful death lawsuit, the Honolulu Star-Advertiser reported yesterday. The Honolulu medical examiner determined the 63-year-old firefighter died from blunt force injury to his head and neck, which fractured vertebrae and injured his spinal cord during the June 2016 training exersize. Rigsbee was on a sled towed by a water rescue craft off Honolulu when he went through three 8-foot (2.4 meter) or taller waves. After the third wave, the watercraft operator saw Rigsbee face down and motionless in the water, according to the lawsuit. Firefighters took Rigsbee to shore, but he died at a hospital, officials said. The Hawaii Occupational Safety and Health Division determined the fire department failed to identify, evaluate or control workplace hazards and replace the ignition key lanyard to the Yamaha WaveRunner. The lanyard is designed to shut off the engine when the operator leaves the watercraft, but it was corroded and broke during the accident, according to officials. The occupational safety and health division issued two citations and assessed the fire department penalties totaling $15,400. Honolulu Fire Chief Manuel Neves said he hopes the settlement brings closure to Rigsbee's family, the department and the community.